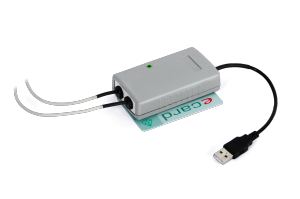 The compact device is ideal for monitoring the success during and after vascular interventions and as a carry-on device in mobile settings. 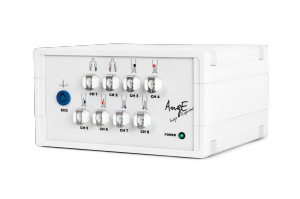 The AngE Pro 4 differs from the AngE Pro 8 by the reduced number of channels and is built to provide fast and easy screening of the vascular system. 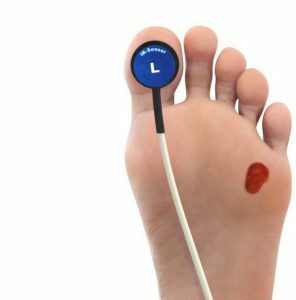 By applying the 4-channel simultaneous plethysmographic measurement at fingers and toes as well as optionally at wrists and ankles, a peripheral occlusion disease can be accurately detected using the most modern medical technology. Blood circulation variations before and after dilatations, peripheral vascular training and medicamentous therapies can be objectified in a time and cost-saving way. 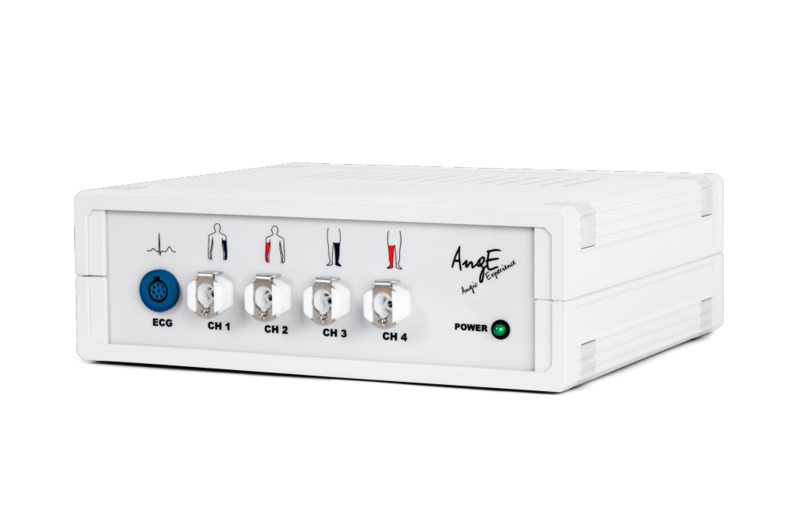 The AngE Pro 4 is an 4-channel pulse oscillography device with additional ECG-trigger. The patient’s pulse wave is measured with 4 cuffs simultaneously, which leads to a better comparison of the vessels in the extremities and an improved Doppler-Index calculation. 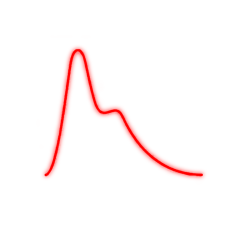 The pulse waves are recorded at different cuff pressures and the mean arterial pressure is determined by the maximum amplitude. The comparison of the mean arterial pressure values leads to a result similar to the ABI. These days, even in our health care system, cost-effective operation is a necessity. 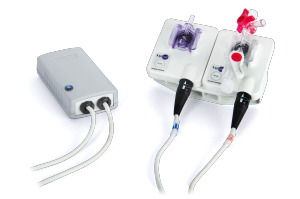 The AngE Pro 4 has been developed to obtain the diagnosis of a peripheral arterial occlusive disease quickly, reliably, with cost-effectiveness and without stress for the patient. Therefore, the classic, more time consuming and hard to document ABI measurement is a relic from the past. 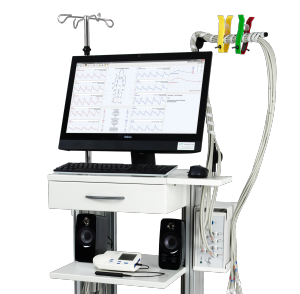 The system is able to record the pulse waves at fingers and toes as well as ankles and wrists at 4 channels. Due to the simultaneous measurement, there is no time difference between the measurements on the single extremities as with the ABI measurement. This delay between the individual determinations of blood pressure values leads to an inaccuracy which is avoided by the AngE. In addition, the simultaneous recording allows the comparison of time values between the limbs. Patients suffering from diabetes often have very calcified vessels (media sclerosis), which cannot be compressed. Therefore, the ABI results are unusable. 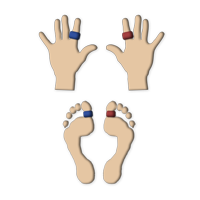 Using the finger and toe measurement of the AngE, reliable results can be obtained, because the media sclerosis affects the toes only in less than 1% of such patients. Measuring this way, even with patients suffering from media sclerosis, a fast and consistent diagnosis is possible. This early detection of pAOD avoids lots of complications for the patient. The AngE Software calculates the ABI (Ankle-Brachial blood pressure Index) automatically and indicates in a simple and clear way, which extremities show signals of disruptions. To do so, it uses a traffic light display to show the index value and its status. Additionally, the software calculates the oscillometric index for each channel automatically. 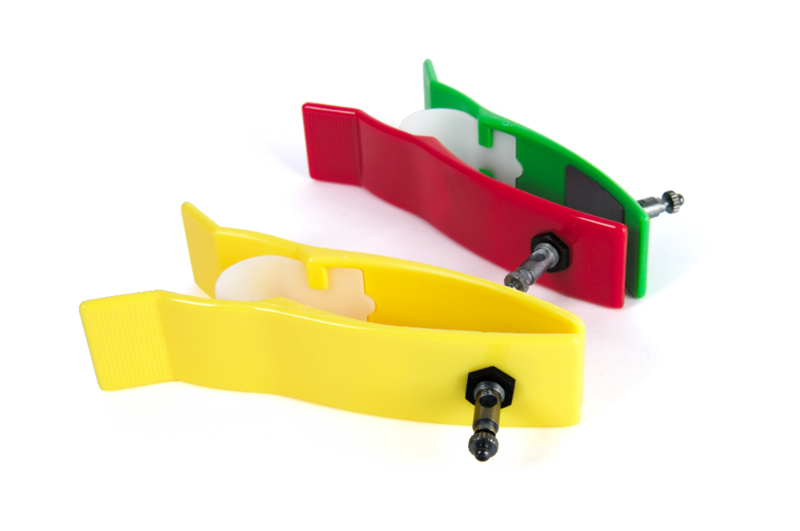 Using better pressure sensors and an elaborated filter algorithm, the pulse wave is more sensitive and detailed than before. This lets the examiner recognize even smallest spikes. The AngE Pro 4 provides a multitude of additional parameters compared to the ABI measurement. Where the ABI only provides pressure values of the limbs, AngE records the pulse wave which allows obtaining a detailed pulse wave analysis. 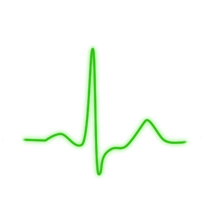 Parameters such as rise time, amplitude and the optical appearance of the pulse wave can be evaluated. The AngE Pro 4 is shipped with two electrode clamps in order to minimize the effort involved in the measurement. The electrodes just need to be placed on the patient's wrists.